Everyone of us has a unique mix of microbes in and on our bodies. Scientists call this microbial mix the microbiota. Your microbiota consists of bacteria, viruses, fungi and protozoa. 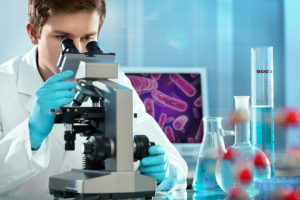 In fact, everyone’s microbiota is so unique that we each have a “microbial fingerprint” which we can analyze. Natren’s probiotic super strains create a healthy microbiota balance in your small and your large intestines. How do we know that Natren products help? Because we’ve done clinical studies in people. In fact, some of these studies were good enough to get published in reputable scientific journals. Natren Canada © 2017 The symbol ® denotes registered trademark of Natren Inc © 2017 by Natren Inc. All rights reserved. Made in the USA* These statements have not been evaluated by the Food and Drug Administration. This product is not intended to diagnose, treat, cure or prevent any disease.